Chad Hurley, Steve Chen, and Jawed Karim, founders of YouTube, finally hit real pay dirt by enticing Larry Page and Sergey Brin, founders of Google, to purchase their two year old company for $1.6 billion. AAEA uses YouTube too. But like any site that becomes popular, think the internet, it becomes a black hole because of its populartity. But lightning can still strike if you come up with something really unique to upload. 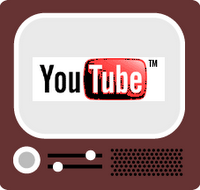 YouTube recently cut deals with Warner (Brothers) Music Group, NBC Universal, Sony BMG and Universal Music Group. Google will keep YouTube separate from its own video site, but will use its search function to enhance YouTube. Chad (white) is the face of YouTube, with Steve (Asian) keeping a low public profile. You rarely if ever see Jawed (Bangladeshi). Will Rupert Murdoch Improve DC Newspaper Market?